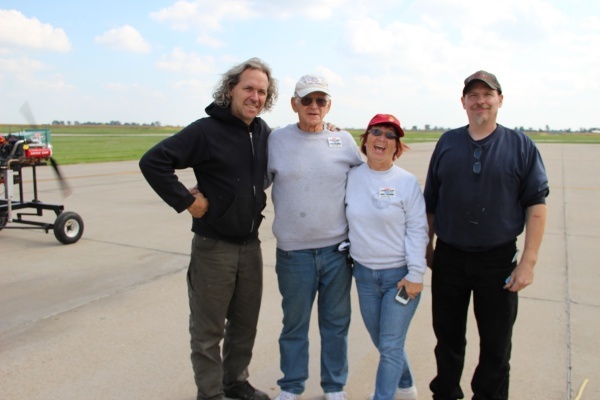 If you have ever thought of putting a Corvair on a Kitfox, here is a story to follow. 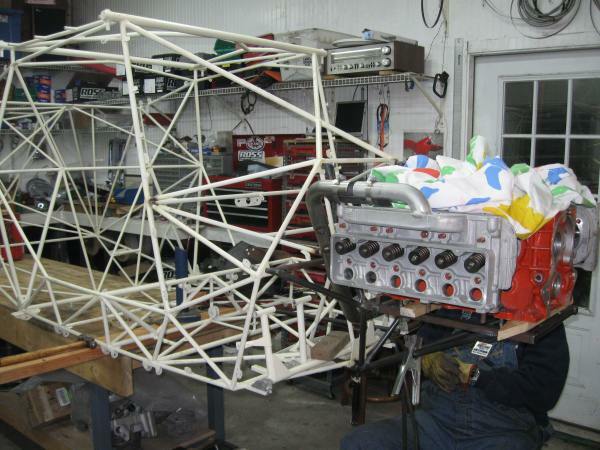 Below are some pictures of a Corvair being sized up for a Tri-gear Kitfox model seven. We took these at Corvair College #30 two weeks ago. 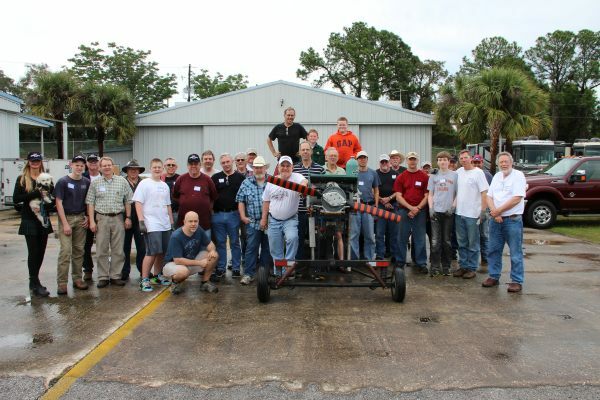 The game plan here is to make a set of installation parts for Kitfox models 5 through 7. (They are the same ahead of the firewall.) It needs a unique motor mount, it looks like it will work with our standard #3601-S intake, our #3901C stainless exhaust and we are going to base the cowling on one of our #4102 Nose Bowls. 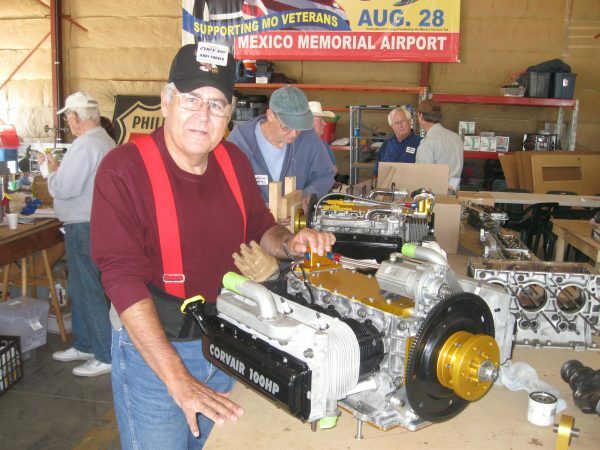 A Corvair builder in Texas already flew a 2,700cc Corvair on a Model 5, but it was a non-standard, hand built installation that did not have an aircraft carb. It worked, but not nearly up to the potential of the combination. I have another Texas builder, John Pitkin who is getting closer, but there are also one-off elements of his installation, and he is not in a hurry to get done. This time we have an eager builder who already has a completely standard 3,000cc Corvair done and test run at Corvair College #29. He brought the fuselage to CC#30 so I could get all the data I need to make the mount in Florida. 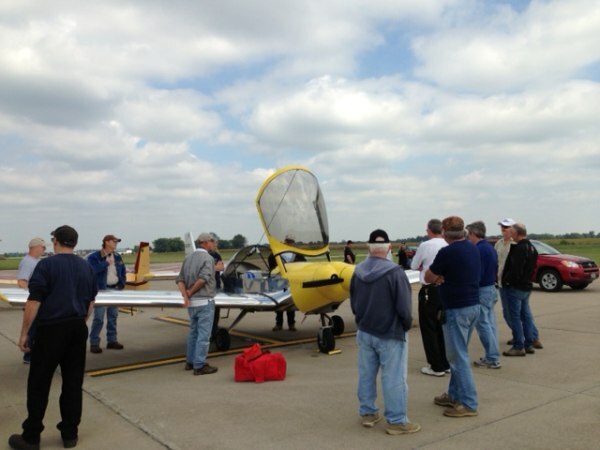 This feels like the right plan coming together to see the plane done perhaps as soon as Oshkosh 2015. Now we get to the “outlaw” part of this. 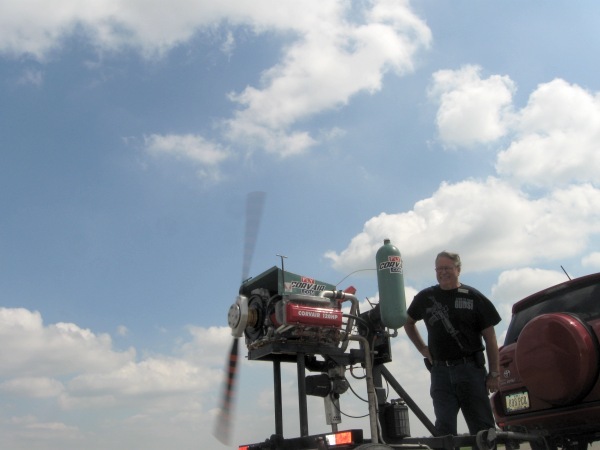 I have long talked to John McBean, the owner of Kitfox about doing this. Some aircraft company owners like the Monnetts have politely asked that we don’t overtly promote Corvairs on their designs, and I respect that (The have now reversed their position on this) , others Like Sebastien Heintz said “Buy a kit and have at it.” McBean has been a third path, where he has expressed a desire to make some of the parts and have say over details. 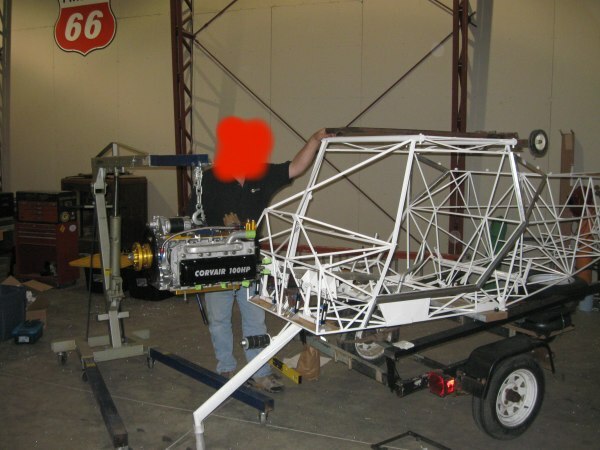 I wrote about different company perspectives in this story: Selecting an engine for your experimental aircraft , but Mcbean’s approach doesn’t sound promising to me, mostly because he has never seen a running Corvair and glossed over how unique the exhaust systems are and that they use bed mounts. At sun n Fun this year, we reached something of an impasse when he told me that he really wanted every Corvair installation to use one of his Lycoming cowls, a design 7″ too wide for a Corvair, simply because he wanted “his design” to have a “Certain Look.” At that point I decided that he is a good guy, but we have different views on things like who gets to choose how a plane looks (I say the builder does). 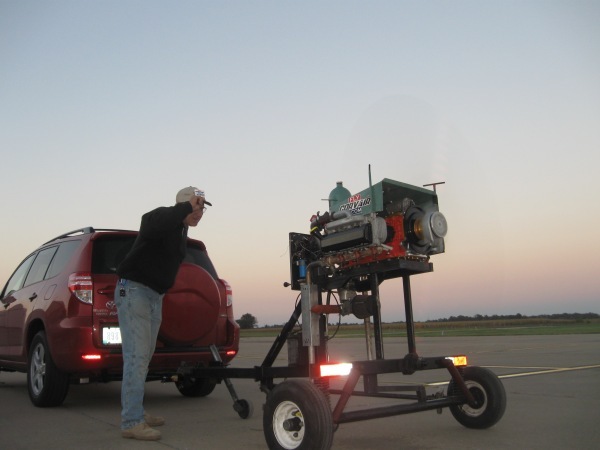 The best solution is to develop the installation without any input from the Kitfox people. It is my personal belief that if a person buys a plane, it is their personal property, and they have the right to do with it what they want. Doing the firewall forward without the approval or input of the airframe kit maker is what I call an “Outlaw” installation. If you would like a look at how our nose bowls looks on different planes look at this link: Catching Up On Nosebowls ( p/n #4102 ) and at this one: STOL and utility planes for Corvair power. If the factory says people shouldn’t use a Corvair on a model they sell, let them make a convincing technical argument why. If it is right, builders will not use Corvairs. Simply telling people to obey works with most people, but a large chunk of traditional homebuilders only follow good reasoning, not commands. Saying “I want your plane to have a certain look” isn’t a technical argument, it is an opinion about another man’s property. 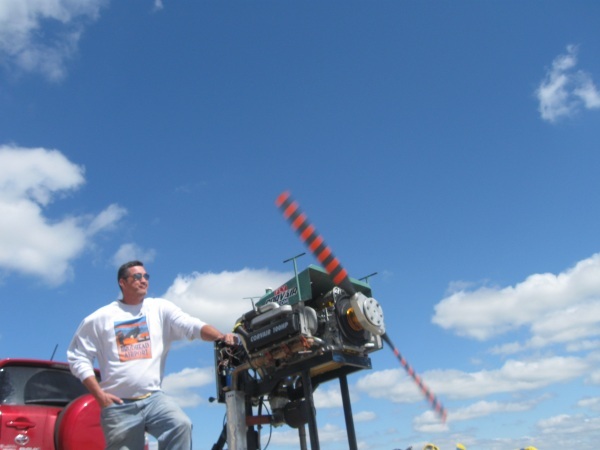 Saying “I make money if you buy a Rotax 912, so it is the right engine for your plane” is not a technical argument, it is just an opinion about how you should spend the money in your bank account. It works with some people, just not many of the ones I know and spend time with. When I want Corvair builder to do things like use forged pistons, I make a technical argument why they are needed and make sense. It is a different approach that requires treating builders as intelligent adults. Many people are first concerned with what everyone else is doing before making a decision. They believe that finding out what most people are doing is the answer to doing it the ‘right’ way. Actually it is, if you are best described as an ‘average’ or ‘typical’ person. If there was one right way to build a plane, and it was based on what the ‘average’ person was doing, we would all be forced to read Mac McClellan’s editorials, then drive our imported mini van to the barber to get a John Edwards haircut while we read Flying magazine and the Sporties catalog. Then to the airport to use our swipe card at the chain link fence, go out to our Rotax 912 powered tri-geared plane with a glass cockpit, call ATC for permission to fly to the ‘practice area’, spend .8 hours there practicing something from a Rod Marchado video tape while never looking out the windows, Get permission to return to the airport, fly a pattern big enough for a 747-400 (because you were told to) land, put the plane away, and drive home wondering why some people talk about flying as ‘freedom’. Conversely, it isn’t my goal in life to be like anyone else. My goal is to follow my own path, as determined by myself, using my rational brain that I was provided with, guided by things that I care about. In 51 years on this planet, I have only been brought closer to that path by people who loved me, and a salesman telling me I have to buy a Rotax 912 is not in the group of people who love me, and for the most part, neither are the people who tell you what you have to do without offering a rational argument. They are just trying to have you obey to make something work better for them, like guy in a tower trying to have you fly a 3 mile final. Traditional homebuilding is the exercise of becoming educated so you can use your rational mind to make choices that are right for you. I am not sorry is that is inconvenient for people who would prefer is everyone was ‘average’. If you have never read it, make a point this week to drive to your local library and spend the one hour it takes to read Jonathan Livingston Seagull, and understand it is an allegory about how the ‘flock’ attempts to peck any individual to death for not conforming and serving the ‘average’ need, but some individuals were not born to blindly serve the flock od society. Bach wrote it 40 years ago, but it is more important today than it was then. 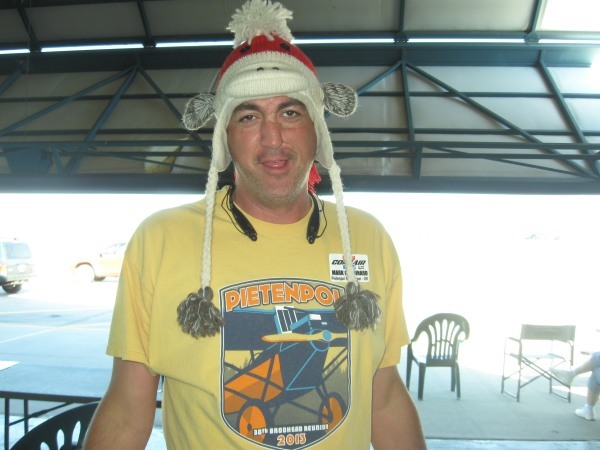 Above, our mystery man builder, known by alias “318 Detroit” with his identity protected at CC#30. (Isn’t this what outlaws do?) Get a look at how much bigger the fuselage on this model 7 is in relation to the engine than in the bottom picture of a model 4 with a Corvair. A very interesting side angle: Before the McBeans owned kitfox, the company built a large number of model 5 kits. If anyone is looking for a very inexpensive STOL plane option, you can run an ad on Barnstormers.com saying “Looking for unfinished model 5 kit.” We have ad 3 people do this, and on average they paid $9,000 for a complete kit that originally sold for more than $22,000. Technically these are not ‘factory supported’ in the same way as people who buy kits direct from the McBean’s, but they do have excellent manuals and they is a lot of on line know how from people who built them successfully. The “outlaw” kit above is a second hand buy from Barnstormers. It’s original buyer bought nearly every option available, paying $30,000. He took it home but did virtually no work to it. (I have pointed out many times that our consumer culture indoctrinated people to be good at buying things, but poor at working on them.) Our mystery builder paid only $12,000, because it is a supply and demand issue, and deals like this will always be available as long as homebuilt completion rates are low. At CC#30 I sat down with Mr. “318 Detroit” and he showed me on paper that he is going to have a first class model 7, with a complete high end 3,000cc/12oHP Corvair, all of the items ahead of the firewall like the cowl and prop, and a basic instrument panel and a flight line radio for less money than the original owner paid for the kit. 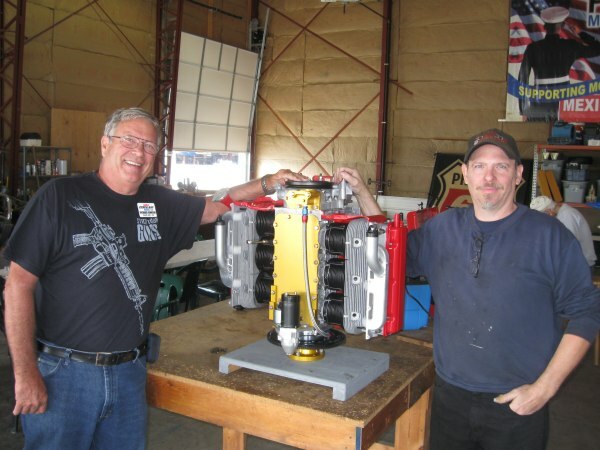 This option is not for everyone, and I know from 25 years of working with experimental builders that there are many times more people who will drive to Oshkosh in a $500,000 Prevost motorhome, buy a brand new kit from the McBean’s, order a $40,000 fuel injected Rotax 912 engine and installation kit, and have someone build them a glass cockpit. If they get it done, they will have more than $100K in the plane. Are they taking the right path? Yes, for them. 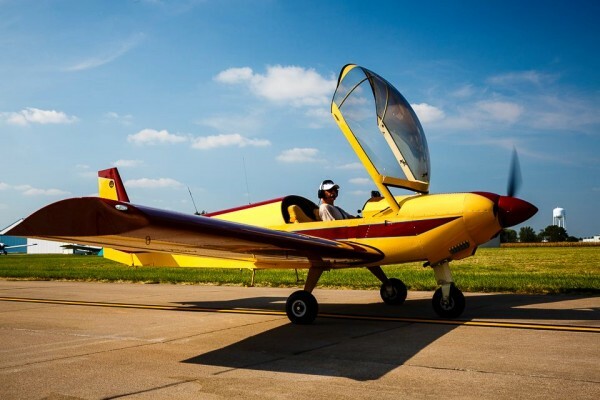 For a more traditional homebuilding oriented person with different goals, like our “outlaw” builder, the option is open to have a very similar performing plane, but a very different experience in homebuilding, for roughly 30% of the cost. Each of these two paths are the right one for the respective builders, and figuring that out for yourself is what making a good personal choice in homebuilding is all about. 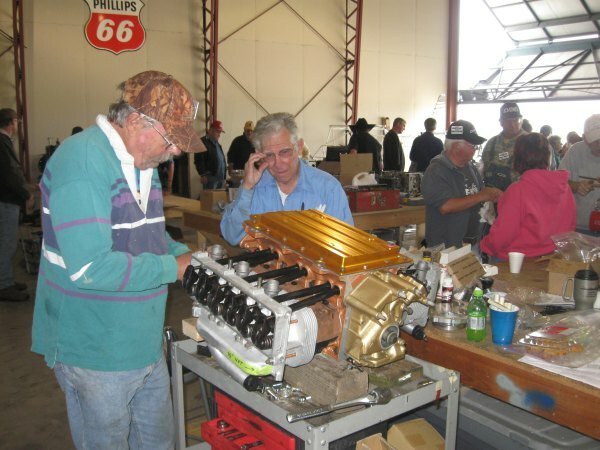 Before too long another builder will come along, buy a model 5 kit off barnstormers for $7,500, buy some parts from us, put together a 2,700cc / 100HP engine with a Stromberg carb and a Weseman 5th bearing, add some steam gauges and a hand held radio and have $16,000 in the plane, and he will probably wonder why our mystery builder chose to budget so much money. 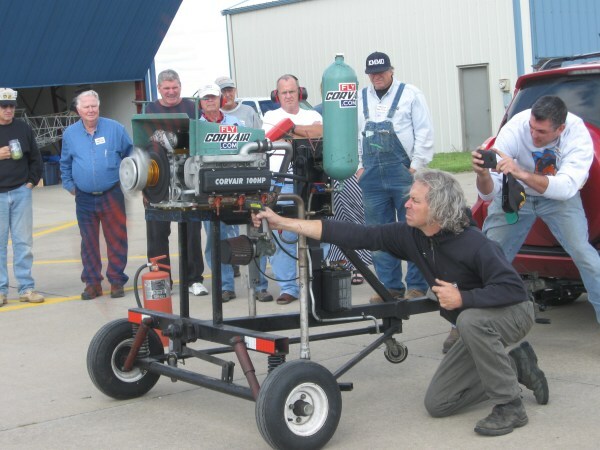 Above, a group photo, the freshly run 3,000 cc Corvair engine destined for the “outlaw” Kitfox is on the test stand as a centerpiece. This photo is from Corvair College #29. Can you guess which one of the 31 people in the photo is our mystery builder? 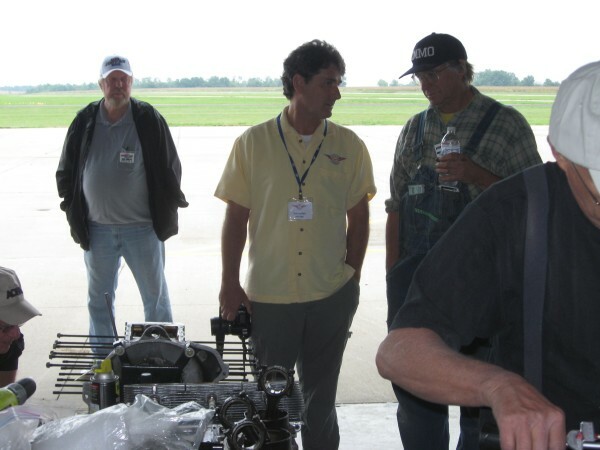 Let me make it a little easier; From the left, it isn’t Grace nor ScoobE, The Son and Father Jameson team have their own 2700 Pietenpol engine, Vern works on our team, Bob Lester in the brown hat has a flying 2700 Pietenpol,…..
At left with me above is Kitfox CEO and owner John McBean. 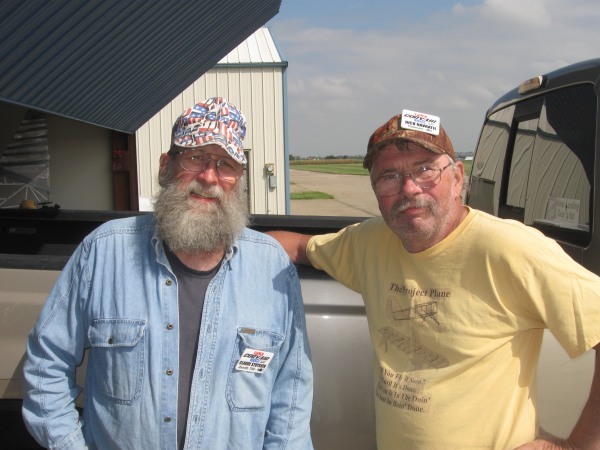 He stopped by the booth at Oshkosh 2013. He is a good guy, and I am not building an “Outlaw” installation to antagonize him, I just choose the term to differentiate the result from the possible co-operative effort we had previously spoken of. 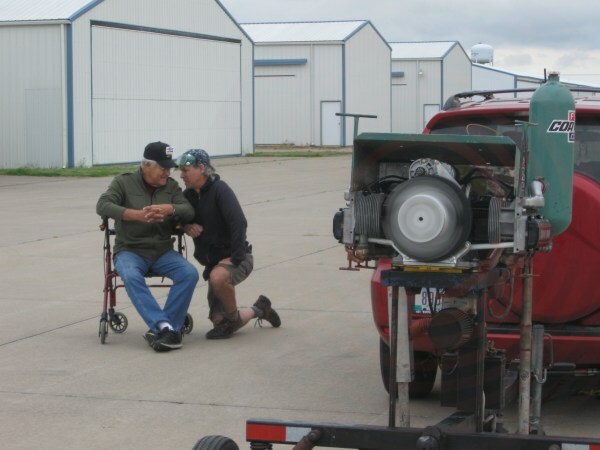 He has owned Kitfox for about 10 years, and put a lot of work into restoring the companies reputation, his family is known for very good customer service. I have done more than 50 different motor mount designs for Corvair installations, and more than a dozen very detailed firewall forward designs for Corvair powered planes. I will capitalize on this when working on the design of the model 5-7 installation this winter. Above, A kitfox model four in my shop getting a motor mount. 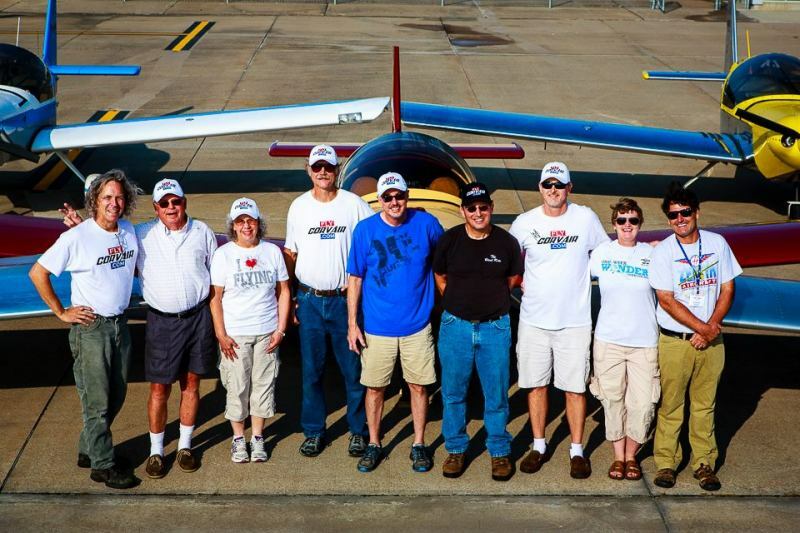 The earlier owners of Kitfox made more than 1,000 model 4’s. 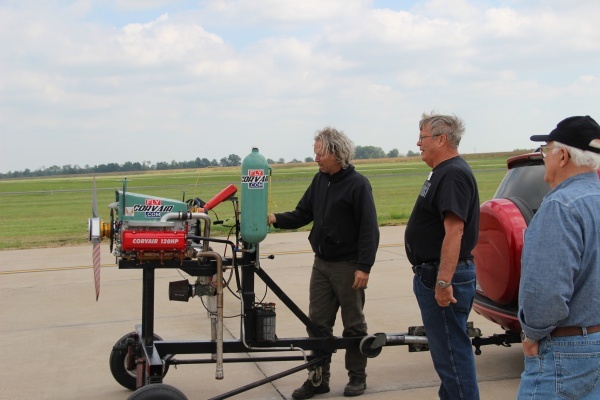 They are smaller and lighter than a 5 through 7 models, really too light for a Corvair, but the owner of this plane is a friend who weighs about 160 pounds, so it still has a high useful load. We used a #2601R reverse Gold oil filter housing to get the engine right up to the firewall for the weight and balance to be right. the model 5 through & will have the harmonic balancer about 10″ from the firewall. The relationship between the model 4 and the 5-7 is very much like the difference between a Zenith 701 and a 750. they look alike, but the later planes are substantially bigger. This model 4 has it’s own 3,000cc Corvair, already built and run at a College. 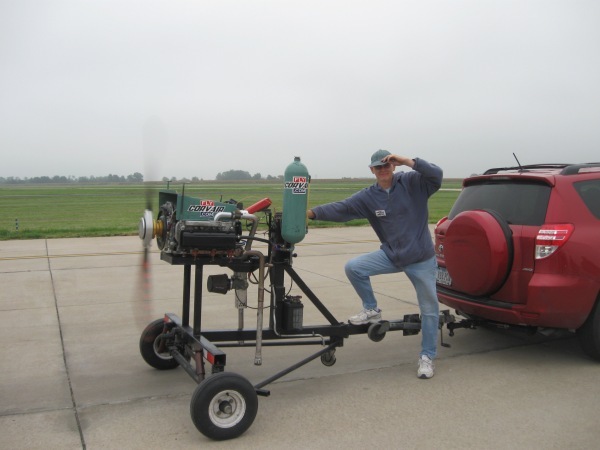 When completed, this large engine/small plane/light pilot combination will be a short field rocket. 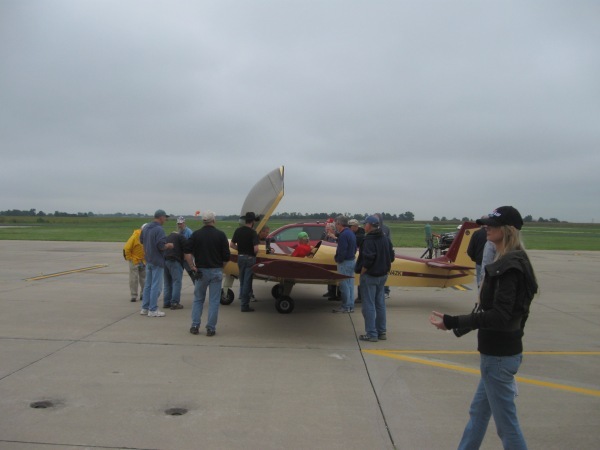 Read the whole story at this link: Kitfox Model IV with Corvair mount. -ww. 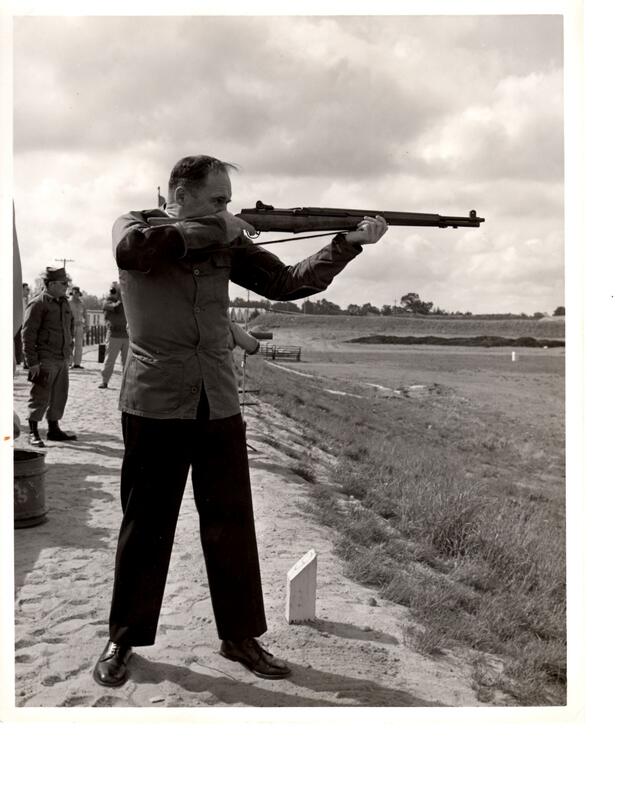 It is the spring of 1945, and the freshmen midshipmen, Dad included, are at the Naval Academy 500 yard rifle range across the Severn river. It is the introduction to weapons for many men. 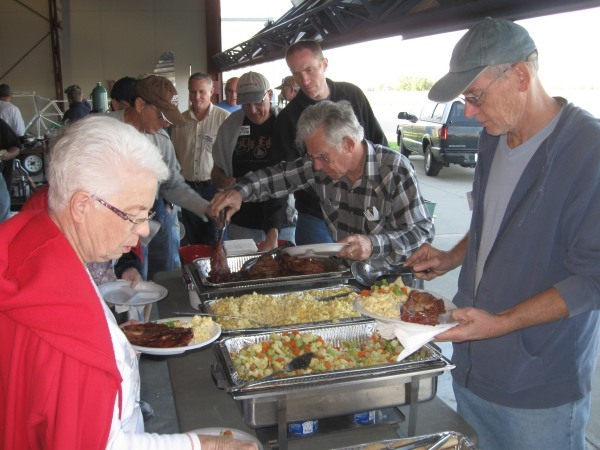 The instructors are all USMC Gunnery Sergeants, veterans of savage pacific battles. Each of them has seen many men, friend and enemy alike, die of wounds inflicted by rifle bullets. They reiterate many times that inviolable rule #1 of firearms is to never point one at anything which is not to be destroyed. One must be absolutely conscious of the muzzle direction 100% of the time, there are no excuses, there is no talk of unloaded, or safeties, it is never done. Period. Within the first hour, a midshipman approaches a Sargent to ask a question, the muzzle of his M-1 carelessly pointed at the Marine’s chest. The Sargent delivers a lightning quick punch to the face, the midshipman is an unconscious pile on the ground with a very bloody nose. The Marine picks up the rifle and continues the lesson, pausing only briefly to say that he didn’t survive Guadalcanal only to killed by moron in Maryland. It is very harsh, but instinctively the others do not rush assist the crumpled figure. They are all starting down a path of a very dangerous career, and if today’s lesson has exposed a dangerous fool who couldn’t follow a simple instruction in a serious setting, maybe they were better off never having to later trust that man as wingman or a shipmate. They were starting a life that didn’t afford second chances nor much forgiveness, and it might cost you dearly to cling to things from less serious settings. The lesson was harsh, but it served my Father for 33 years of active duty and it is with him 69 years later. Here is your aviation connection: In the last 50 years, life in America has gotten very forgiving, we have had a giant national shift away from personal accountability. I am not just speaking about teenagers here. It is pervasive; Airbags in cars allow people to drive like idiots; lawyers show people how to win the lottery for stupid things they do; one can shoot public officials and claim to have eaten too many Twinkies; advances in medical science often allow very expensive life extensions for people who made 5 decades of poor choices; we no longer think it is abnormal that corporate CEO’s get giant bonuses after taking bailouts; celebrities can say any racist thing they like if they later go to a posh ‘rehab’ for 20 days; The government gave Wen Ho Lee $1.6 million instead of executing him as it did the Rosenburgs. The pilots of Asiana Airlines Flight 214 were released without even being drug tested….. the list is endless. The general public goes along because they are afraid of the safety net not being there for them. We have been transformed to a society where everything is someone else’s fault, people forgetting that in a world where the individual is never responsible, neither can he ever make a legitimate claim of personal achievement. In this setting, it is very good to understand that we still have a few places where personal responsibility reigns supreme, and building an flying planes is perhaps the single best example left. No matter what anyone tells you, Physics, Chemistry and Gravity will always remain just as unforgiving as 1945 USMC Gunnery Sergeants. People who wish to just ‘drift’ into experimental aviation may find this disturbing, but I am actually attracted to the unforgiving nature of flying; the rules are not arbitrary, they are not subject to popularity contests and they don’t change. In a world that is ever more fake, manipulated and plastic, flying remains something very real, and I like it that way. If you are new to flying, do not let any of this bother you. Please read this story, it may be the most influential piece of data a new guy can read this year: Concerned about your potential? . 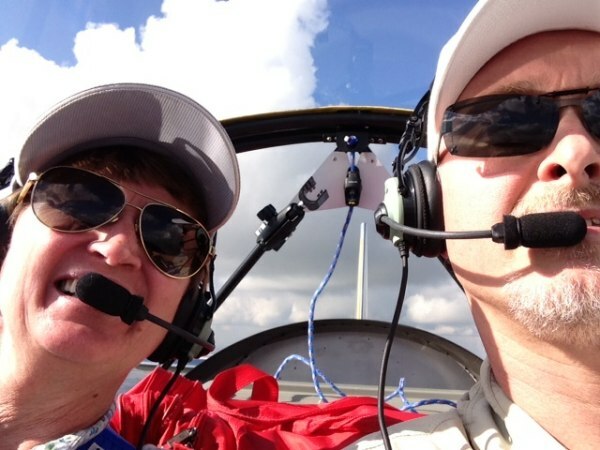 All new people should understand that first and foremost, I am an instructor, and my goal is to share what I have painstakingly learned, not just about Corvairs, but building and flying planes as well. If you are new you have plenty of time to learn this, and a Corvair College is an excellent place to start. If you attend just one, you will then have a good yardstick to measure other settings by. 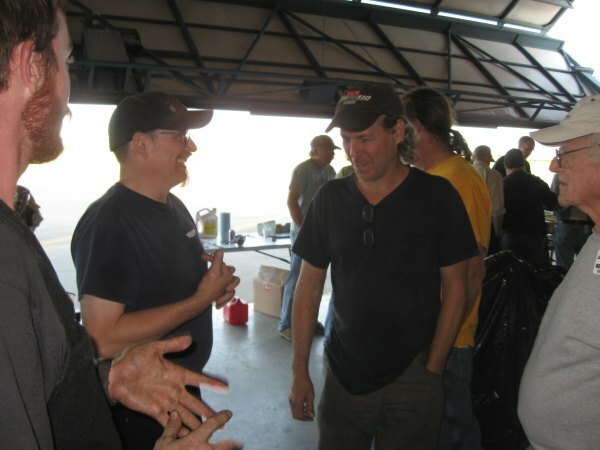 If you are new to homebuilding, I can not over emphasize the importance of investing your time with good people. 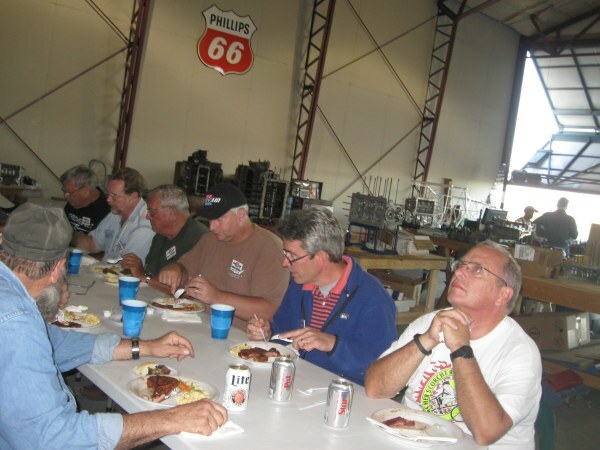 You need to spend time in a setting where knowledgeable professionals are, who are in a community of builders who are focused on doing everything that has long been proven to work, where skilled people are committed to sharing this knowledge with new aviators. This goes all the way from who you speak with at your airport, what books you read, which websites you follow, and especially where you spend your money and find your training. Fools and morons tend to collect at places that tolerate stupidity. 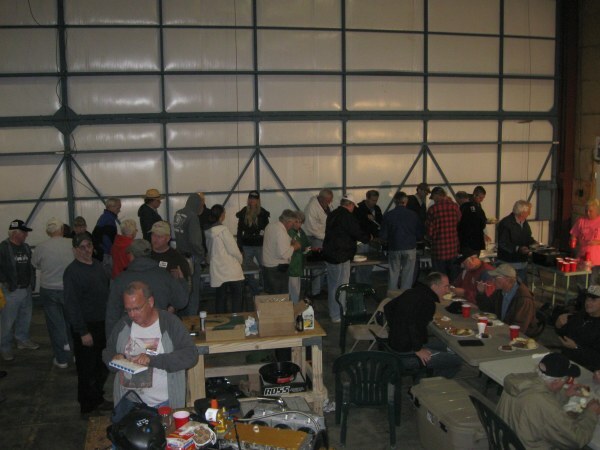 You can rest assured that I have not spent the last 25 years developing the community of Corvair builders to allow such people space in our Arena. The rest of society long ago set out on the fools errand to make the world a “safe” place. It starts with making things ‘Child Proof’ , then fool proof, and later it moves to treating all adults as children or fools, in a vain attempt to keep people from hurting themselves, because this can never be done, the final result is always not allowing people to engage in these activities, because they can not be made safe for fools and idiots without judgment. Fortunately, aviation resists this pretty well. There will always be some jackass trying to show people how little you need to learn to go flying. That a GPS means you don’t have to know how to read a map and a Bing carb is for people who don’t want to spend a hour to learn how mixture controls work, but these are not the values nor ethics of the Corvair movement. Here we are looking for people who want to learn as much as possible, not as little as they can get by with. If that sounds like your goals, I say “Welcome aboard.” -ww. Above, Dad, the Seabee base XO at Davisville RI in 1967, with a Garand. He is wearing a shooting jacket, but the uniform and the shoes suggest he came straight from the office. He held Expert ratings with both rifle and pistol. Dad has always been good at anything that required hand eye coordination. 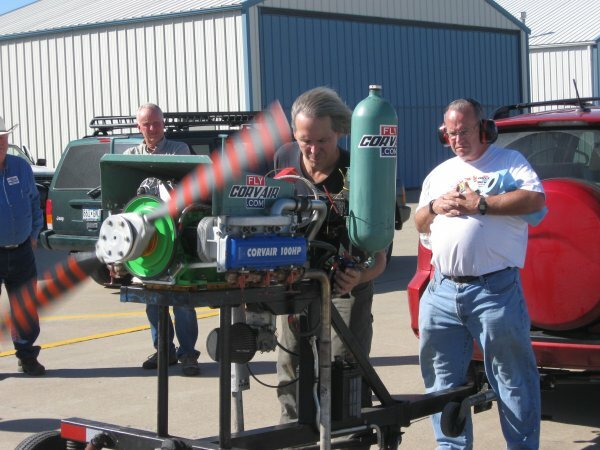 The designers of experimental aircraft have an incredibly wide difference of opinion on the rights of builders to choose their own engine once they buy the plane. I know this personally, I have been in the alternative engine business for the last 25 years, and the designers names I use below are people I have met in person, who directly said these positions to my face. Moreover, I have done a lot of work over the years on advisory boards and sat through a lot of closed door meetings. I have directly heard many things that were later diluted by PR people until they were non-offensive. I have heard countless well intentioned, but under informed builders relate positions that their favorite designers supposedly held, positions which I know from personal contact, not to represent the designers actual beliefs. I have tried to correct misconceptions, but it is a usually a waste of time to try to expand the understanding of people who are absolutely sure they already know everything. VanGrunsven is the largest Lycoming dealer in the country, but I think his adamant insistence on their use is driven by an combination of his belief they are good engines and his attitude that he should be able to say how people use “his” planes, even though these people own them as their private property and are consider the plane’s manufacturer by the FAA. There are many things I admire about the man, but this kind of heavy handed control of others lives while working to be perceived as a ‘nice guy’, isn’t one of them. I actually preferred Rutan’s direct and blunt, ‘do as I say because I am smarter than you and I don’t care if you like me’ approach. I prefer unapologetic dictators over those that seek to be perceived as benevolent. Between these positions are many companies that like to promote the use of their “Approved” engines for the sole purpose of making money. 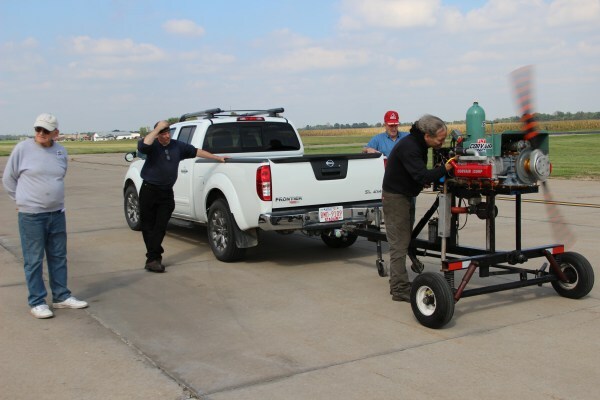 Most people have no idea that when a builder buys a kit, and later buys a Rotax (or many other imports), the person who sold the kit makes a several thousand dollar kick-back off the engine company. 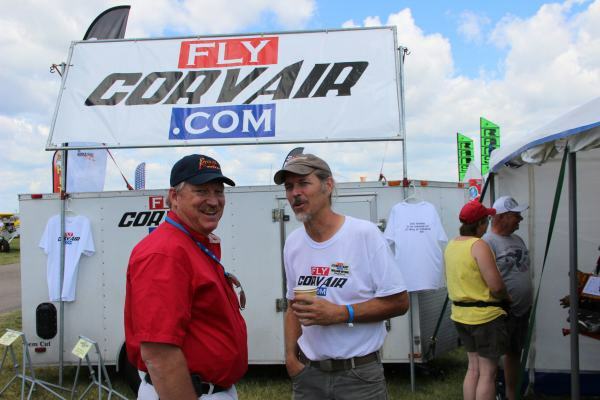 Walk into many kit company’s booths at Oshkosh and tell them you are planning on using a Corvair, and the most common line is “I have met WW and he knows engines, but …(Insert: “Corvairs weigh 350 pounds, they don’t really work. 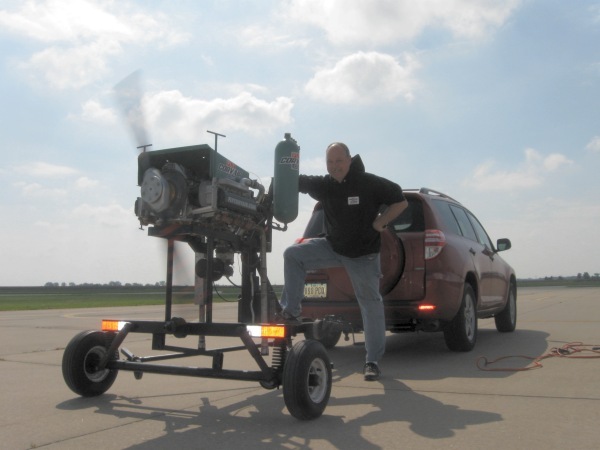 they don’t use 72″ props, they..”) so just do the smart thing and get a Rotax, here I will call lockwood on your behalf”. Look at the math on this; The airframe guy invests 10 minutes having this conversation with a builder six times, one hour total, and then makes a $2,500 kick-back. Yes, they do this not out of the goodness of their hearts, it is for the 2,500 dollar per hour pay-off. The fact that the kit buyer does not understand the system is what makes it deceitful, and he is unaware of the kit sellers motivation. This system in one of the largest single reasons why conversion engines are not more popular. 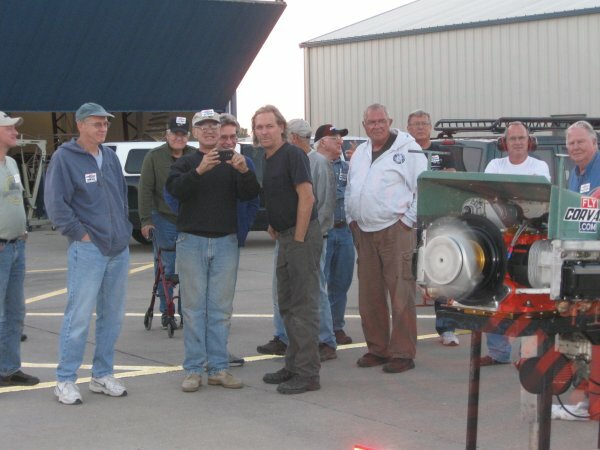 If you have ever wondered why we have so many Corvair powered Zenith’s flying, it is not just that it is technically a very good match and that we have done our homework starting with buying a kit for ourselves and building and flying it personally, but the attitude of Zenith is a very big factor. Sebastien Heintz, president of Zenith, has always believed that the builder, as an individual and owner of the kit, has the right to select his own engine. I find it humorously ironic that a guy born in France and raised in Canada turns out to be a much stronger champion of the personal freedom individuals making an educated decision for themselves than many kit company owners who would rather make a buck off builders obediently doing as told while these men try to polish a public image of respecting the freedom and individuality of builders. Above, the Engine Selection forum from the 2014 Zenith Factory Open House. From the left, the panelists represent, Rob from Rotax, Robert helms from UL power, Corvairs (myself), Pete Krotie from Jabbaru usa, Kim Winner from Continental, and Jann Eggenfelner from Viking. Sebastien Heintz is the moderator, standing by the wing. In keeping with the Zenith Aircraft perspective, the forum allows builders to directly ask questions to be addressed by the panelists who all represent proven power plant options on Zenith airframes. This approach speaks volumes about how the company views it’s builders; they are seen as adults, capable of making informed choices for themselves. This is very different from companies which dictate to their builders what they will do. 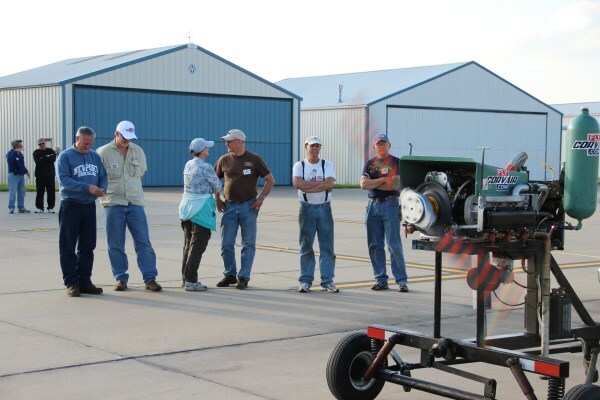 Zenith is an actual dealer for many of the brands of engines that work on their aircraft. They make mounts and cowls for some of these. But this is not a consideration, the goal is to match each builder to the right engine. Each builder is provided with opportunity to get to know many engine providers and make the selection that best matches their goals, budget, time line and philosophy. I have heard every possible argument for the dictatorial approach, but in the end, traditional homebuilding and real flying, at their very core, are all about learning building and flying, and these are things that are best done as an alert individual, not someone blindly following orders. -ww. Here is a look forward over the next few weeks: Right now I am in NJ, taking a watch, caring for my Father. I will be here through Oct. 3rd. Dad is doing a lot better since the summer. Thank you to all the people who sent thoughts on this. I wrote something about Dad below. If anyone has a pressing tech question, please send it by email, and If you can, include a phone number that I may call you on in the evening. Often the explanations are easier on the phone. I don’t have access to all records here, so don’t assume I have your number. 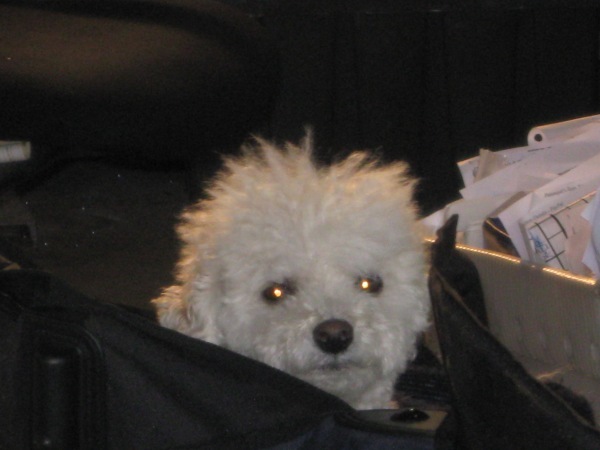 Grace is still in Florida and is mailing out orders. Upon my return, she is taking a brief break to be with family. If you have an order in mind, Grace can likely cover this before my return. We have nose bowls packaged and ready to go now, on the shelf, for the first time in a year, there is no wait on an order. We are also going to do a large batch of Pietenpol, Zenith 601/650, and 750 mounts before CC#31. If you would like to pick one up at the event and save the shipping, please let us know soon. -ww. For all these decades, my Father has been very proud to stand in the ranks of such men. When JFK spoke of ” A new generation of Americans–born in this century, tempered by war” These were the kind of people he was speaking of. Yesterday, I sat beside my father as he watched a few minutes of the evening news. I thought of how difficult it must be for men of his generation and calling, who literally offered their lives to defend western civilization from genuine evil, to see how little we have done with this gift that was bequeathed to us at a staggering cost. As I write this, my Father sits in the next room, carefully writing a letter about a man he knew well, another ’49er. With dulled eyesight and a slightly shaky hand, Dad writes to tell the man’s eldest son of the great fortune of having known his father, a man of great courage and character. 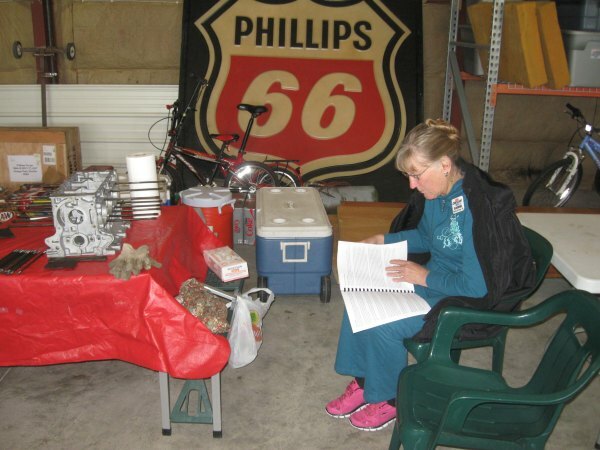 There are a few dozen letters left to eventually be written to sons, but when the duty is done and the chapter is closed, I suspect that the custom will also fade away. We will not have men quite like these again. By far, the greatest joy of my Father’s life has been being married to my Mother for 64 years. The above photo was taken circa 1949 at Annapolis. They met at the New Jersey Shore just after World War II. Throughout my entire adult life, whenever I encounter anyone in difficult straights or a terrible position, my first thought is always “Without the luck of being born to my parents, that could be me.” It is not possible to overstate the positive role my parents have played in any qualities of character I may have.